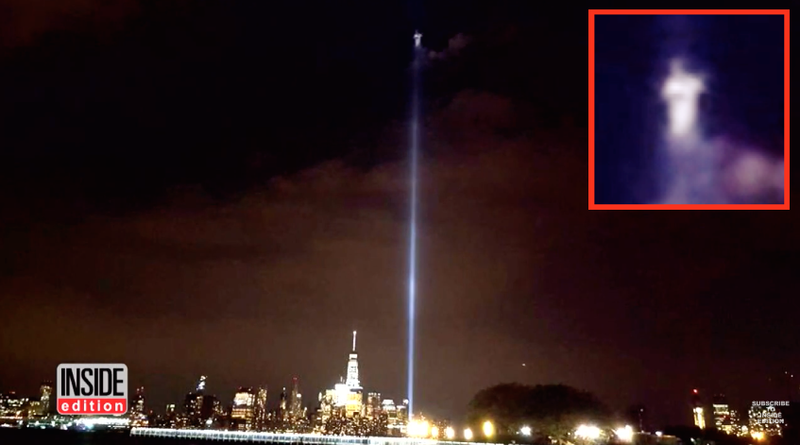 UFO SIGHTINGS DAILY: Alien being Appears Inside 911 Tribute Light A Symbol Of Unity, Sept 2016, Video, UFO Sighting News. 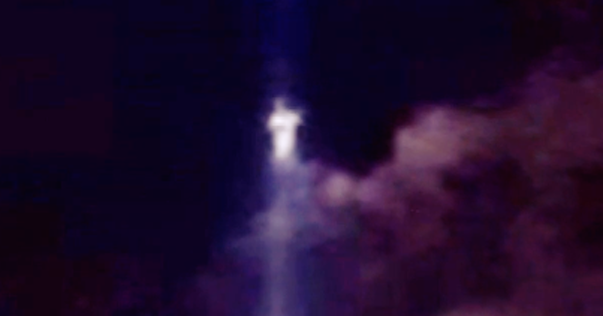 Alien being Appears Inside 911 Tribute Light A Symbol Of Unity, Sept 2016, Video, UFO Sighting News. This standing figure is over 5 floor tall and standing directly in the beam of the 911 tribute beam. A symbol of understanding the tragic loss of the day, even among other alien species. A gesture of respect from them, to humanity. Dr Frank Stranges who wrote the book "Stranger In The Pentagon," said when he met an alien called commander Val Thor, that Thor said he had an adopted brother on Venus, who's name is Jesus...the same Jesus who was once on Earth. 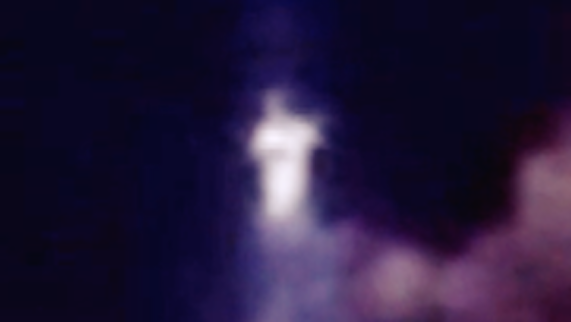 It may be, that this alien Jesus is still watching over humanity. Then again, such an alien with such powers...would easily be considered godly.